With so much announced today at the Autodromo Hermanos Rodriguez, there’s plenty to analyse, and frankly, understand, after taking a few deep breaths and stepping away. An immediate takeaway from the news concerning the LMP1 regulations is this: that the ACO and FIA feel that the DPi formula or an enhanced LMP2 class, isn’t the best way forward for them. There is no current demand from factories wishing to pursue the current DPi concept in the FIA WEC. And, just as importantly, the FIA and ACO, at present, feel that it would be wrong to undermine the efforts of the confirmed and potential newcomers for next year and see potential for the unified LMP1 class. It’s clear that they feel that it needs room to grow with both manufacturers and privateer teams, with the current LMP2 regulations still attracting strong and indeed growing support. 2. Hybrid tech is still a key part of the future! 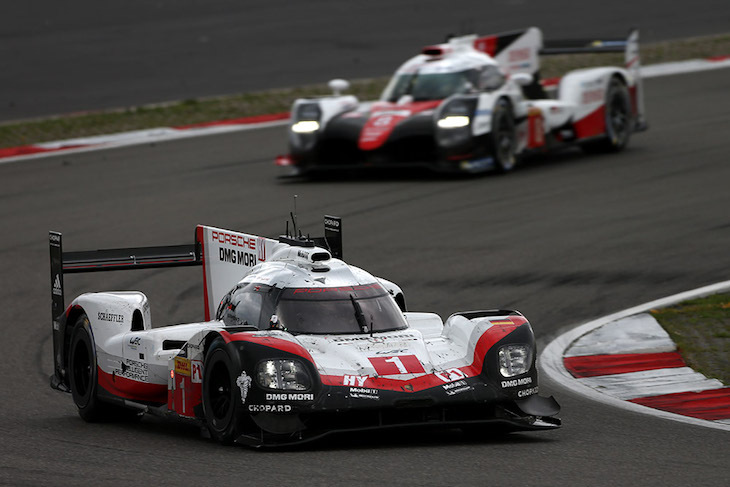 Despite Audi and Porsche pulling the plug on their Hybrid LMP1 efforts, and reports of the class’ demise as a result, the ACO remains convinced that there is still real demand for Hybrid LMP1 racing to continue, in some form. Peripheral statements seem to indicate high levels of confidence that Toyota, Peugeot and possibly one other could commit to revised regulations as early as the 2019/2020 season. However, it was made clear by the FIA WEC CEO Gerard Neveu, that Toyota as things stand, would not be granted Le Mans entries in 2018 or 2019, unless it committed to the full FIA WEC. Toyota Gazoo Racing has told DSC that it needs time to consider yesterday’s statements and that it is likely to make a decision and public statement next month. Manufacturer involvement in an non-hybrid programme in LMP1 would be embraced too. The decision to make a switch to a winter-based schedule was clearly made rapidly, but it was a decision that they intended to consider in the near future. Instead, the opportunity to reset the WEC came now, and was endorsed and approved by the FIA in four weeks. Effectively this has to be examined in two parts, as a transition, and steady state. 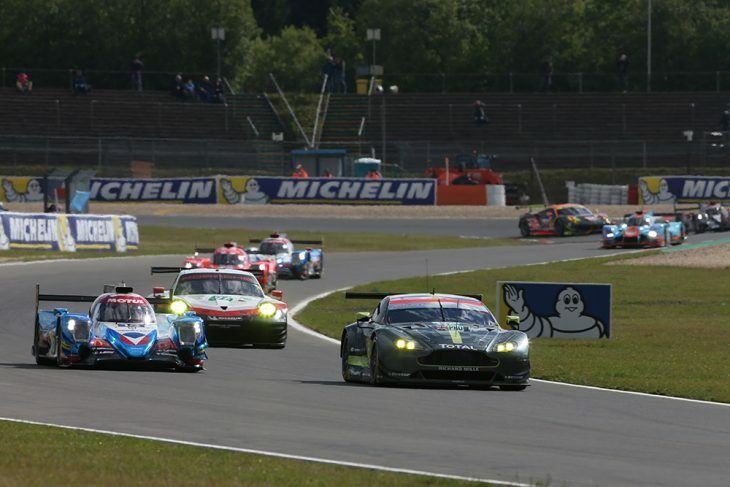 The transitional 2018/2019 “Super Season” will include eight races, two of which will be six-hour races at Spa, and two runnings of the Le Mans 24 Hours, plus a return to Fuji and Shanghai, an unconfirmed venue in 2019 and a 12-hour race at Sebring immediately following IMSA’s traditional enduro. The Sebring race will also be a 12-hour event, but starting at midnight, just two hours after the end of the Mobil 1 12 Hours of Sebring. The calendar has been designed to reduce freight and running costs, which means there’s potential for significant reduction in budgets. DSC says: “The transition to a winter calendar was always going to be a massive challenge. And the disappearance of some well established events is a shock but not a total surprise. 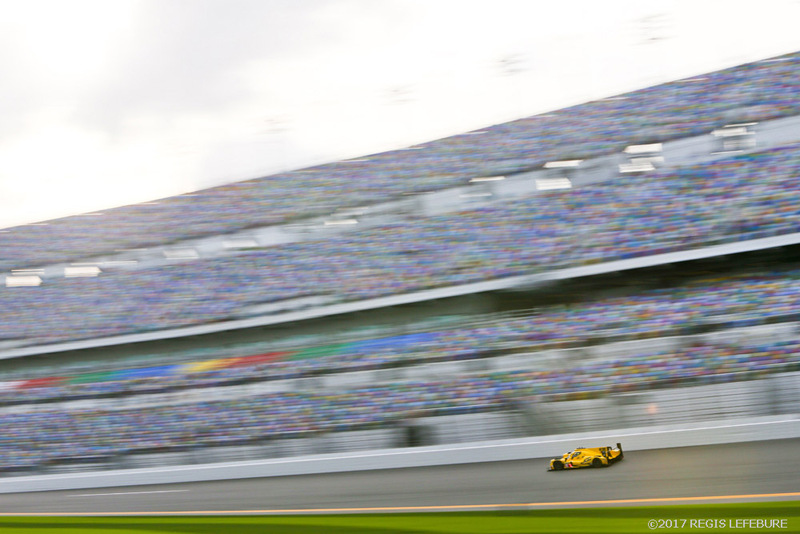 “The viability of the logistics at least of the surprise package that is a second 12 Hours of Sebring is a very open question. But it’s a clear attempt by the FIA WEC to create a second blue riband event on the calendar, something which at the moment, it clearly lacks. “The reduction to seven events in steady state to 2019/2020, is a near inevitable effect of a big drive to reduce cost, and attract new teams from both the manufacturer privateer ranks. 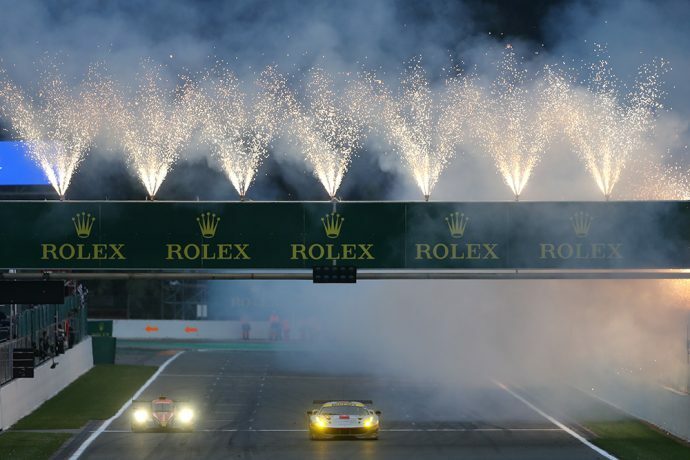 With Le Mans acting as the finale to the WEC, the intention is clearly is to have the most significant event last on the calendar. The Le Mans 24 Hours, (and the new Sebring 12 Hours) will both have ‘Enhanced Points’, but Le Mans will no longer be a double points round. The final decision for the points systems will be announced in due course. DSC says: “The move from a double points format, makes this an entirely more sensible move than the earlier proposals. It will have taken something to persuade the FIA against its earlier position, not to see ‘its’ world champions, overshadowed by the winners of a standalone race, however enormous. 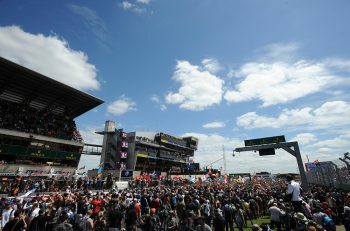 It will be a massively different feel to the FIA WEC, when we’re racing in front of 250,000 + spectators in France. Silverstone, whilst not featuring in the 2018/2019 “Super Season”, is still under consideration for later years. After the “Super Season” the WEC will settle for a reduction of rounds to seven, from 2020 onwards, a reduction of two on the current level. Bahrain, CoTA and Nürburgring meanwhile, look set to be permanent losses. Whilst Mexico City, could still be in the mix for the February race, though several other venues including Sepang and known to be interested in hosting a WEC race. DSC says: “As an organisation, and as individuals, DSC has been at every FIA WEC race, it has seen how well supported some of these have become, how loyal the fanbase has been, and how well or otherwise the circuits, promotors, sponsors, media, manufacturers and private teams, have helped to develop these events. Hybrids though, will continue to have an advantage through the efficiency in their powertrains, capable of running longer stints, and making fewer stops. Specific mention was made of the appeal of non-hybrid LMP1 to smaller manufacturers, with Gerard Neveu confirming that there was current contact with factories interested in learning more of the proposals for that formula. Most importantly, hybrid and non-hybrid LMP1s will henceforth compete in a single class. 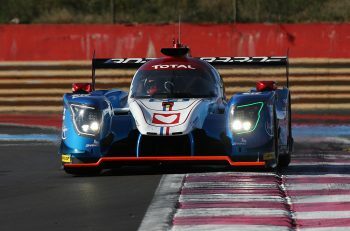 DSC says: “DSC is delighted that the ACO and the FIA WEC have shown loyalty to those that have committed to the new generation of non-hybrid LMP1s. The uncertainty in recent weeks, has been very tough for those manufacturers and their potential customers. “Clarity, and indeed potentially greatly enhanced competitive opportunities for these cars, and some unexpected additional players in the market as a result, will finally prove whether or not LMP1 has a place moving into the second decade of this century, alongside IMSA’s DPi model. 6. The LMP1 Manufactuerer’s World Championship is back on? Gerard Neveu confirmed that subject to payment of the relevant fee, he saw no reason why a small manufacturer could not enter the Manufacturer’s World Championship via an LMP1 non-hybrid programme, whether the cars were run by privateers or full factory teams. That potentially means, that with or without Toyota, there could be still a prospect of an LMP1 Manufacturer’s World Championship in 2018/19. There is a strong emphasis on budgets for all the announcements, with an emphasis on cost reduction. Pierre Fillon and Gerard Neveu both clearly acknowledged that LMP1 Hybrid budgets are no longer sustainable. Neveu specifically mentioned that the 2019/20 (seven races) would see an LMP2 team able to race with similar budgets to 2016, 20% down on 2017. That reduction would be achieved with reduced entry fees (fewer races), reduced running costs (fewer races) and via the use of more sea freight as opposed to air freight (typically 10-20% of the air freight option). 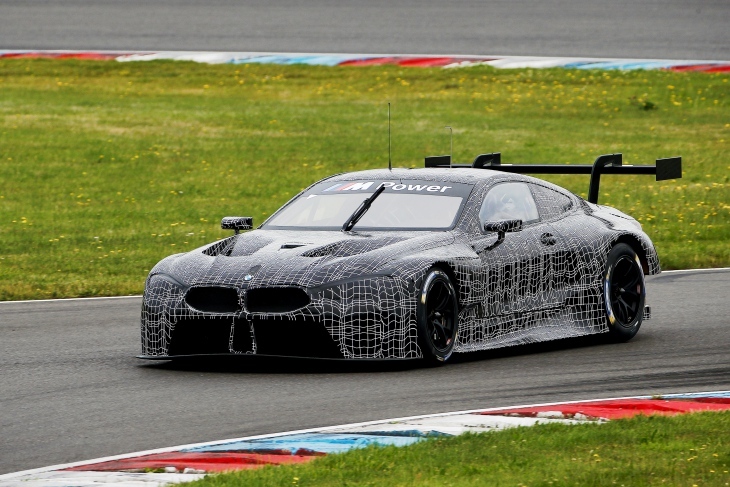 (GTE teams however have told DSC that their costs will increase in the transition season). Five full-factory teams are confirmed for 2018/19 (Aston Martin, BMW, Ferrari, Porsche and Ford) with others in advanced discussions. There will be no GTE qualifying race on the day prior to Raceday for the “Super Season”, that decision in part informed by manufacturers offering concerns on additional costs. The proposal though, remains on the table for the future. Some degree of hybridisation and or electrification of GTE, will be discussed for future GTE regulation cycles, with absolutely no time frame allocated for that process. However Pierre Fillon made specific mention that with increasing factory interest, that efforts need to be made on keeping a cap on technical spending. As of next year, Circuit Paul Ricard will again hold the pre-season Prologue test, after a year off. This time, the format will see a major change, instead of two sessions during one day, the Prologue will be a constant 36-hour test session for the teams. This means that Monza, will not feature on the WEC’s schedule of the transition season at least, the shift in test format has played a major part in that move, despite Monza being universally popular the local noise constraints mean that the new test format cannot be accommodated. Paul Ricard meanwhile is set to see an ELMS race following on from the test in the days following, with a high likelihood of a number of FIA WEC season entrants also contesting the ELMS race as guest entries. 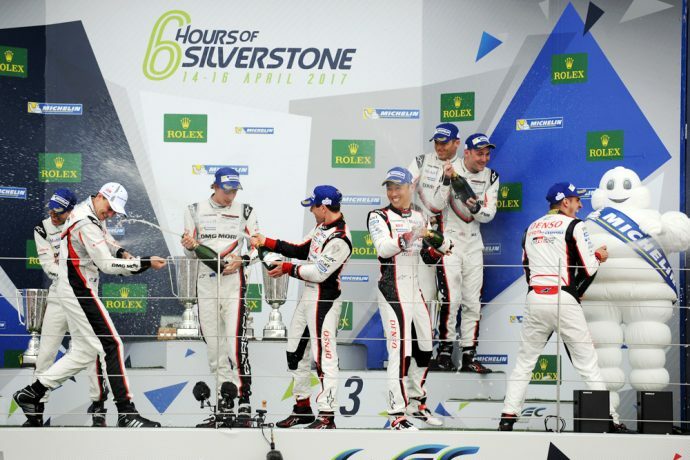 The Silverstone ELMS race too looks secure, but not as the season opener! DSC says: “The move for the Prologue to Monza was a success, but equally the shift to a continuous 36 hour test is a smart one, putting testing usually behind closed doors very much more in the public eye. The impact on guest entries for the ELMS race the following weekend is likely to be a positive one. A rapid and pragmatic decision has been made to simplify the 2020 LMP1 regulations with an intention to roll these out for the 2019/2020 FIA WEC season. Gone already is the proposal to have the cars begin each stint from pit lane with 1 km under electric power and that for the cars finishing Le Mans to do so under pure electric power too. There were changes made, albeit minor, between the 2pm meeting yesterday with team principals, and the 3:30 media briefing, notably the as yet unannounced/ undecided race dated for February 2019 was changed from january after the intervention of Porsche who pointed out that Daytona’s position on the global calendar should not be encroached upon. Several teams have offered the opinion that this, and other minor tweaks show that the ACO and FIA WEC are making real efforts to adopt a much more inclusive attitude to their planning. More of that may well be required as there are further concerns over calendar clashes, principally with the 2018 IMSA calendar, and in particular a direct clash between the Fuji race and Petit Le Mans. Interestingly though every person that has commented upon the clash has immediately offered a view that they have little doubt that a change can and will be made. DSC says: “DSC has long called for every major championship to display a much more customer-focused attitude to the teams that form their grids. This marks a small but highly significant and welcome change in the tone and content of the communication between the Championship organisers and their customers.